Solar Equipment Warranties: While product warranties that last for one or two decades are reassuring to buyers, they're not worth much unless funds are available to pay claims. That means betting on young startup companies eventually becoming old industry veterans. But who knows how reliable a system installed now will be in 10 or 20 years, and how much it will cost to repair or replace? The Post-Purchase Experience: More than just a buzzword, it's becoming an important part of customer loyalty. Consumers who feel their service contracts can provide a better level of customer service will buy them again, just for the convenience of knowing who to call when they need a repair. Seagate's Data Rescue Service Contracts: Warranties and service contracts repair or replace the data storage hardware in computers and mobile phones. But they don't cover the data and files stored within them. But now, for a small fee, Seagate and its partners will provide a service contract for data recovery. Service Contracts & Repair Costs: In the ongoing clash between those who sell extended warranties and those who say take your chances, the odds of saving money depend upon the cost and likelihood of needing a repair. 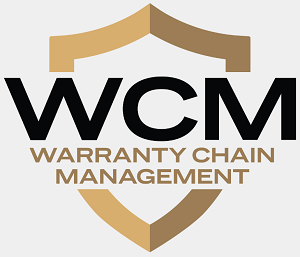 Warranty Marksmen, Part 1: Given the average duration of a company's product warranties and the predicted repair cost, a company should be able to accurately estimate how much they need to set aside. But some companies are better at it than others. Warranty Apps: Smart phones need warranty coverage. But they also can be used as platforms to better control their own warranty coverage. Some apps focus on the consumer, either before or after the sale. Others aim to assist the repair crew, after a claim has been filed. Mid-Year Warranty Report: The good news continues into the first half of 2011, with massive warranty cost reductions extending their streak into a ninth straight year. With sales finally getting back to normal, product reliability has never been better, and repair costs have never been lower than they are now. The First Service Contract: A GE appliance dealer sold it to a customer in Chicago nearly 77 years ago, along with a refrigerator that turned out to be highly reliable. Yet the same sales drivers used back then -- peace of mind, repair costs and technological worries -- still work today. Fleet Warranties: Among companies that operate fleets of hundreds or even thousands of vocational vehicles, service contracts are rarely bought. Some ask their manufacturers for longer warranties, but most prefer to fix their trucks and buses themselves. And what they like to outsource isn't so much the repair labor as it is the labor associated with warranty claims submission. 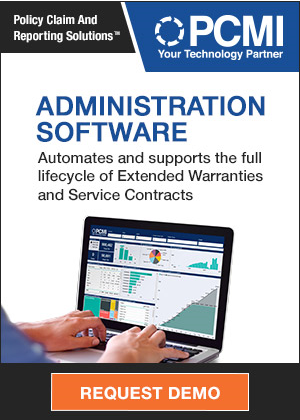 Extended Warranty Advice: An industry expert tells retailers and manufacturers how to get more value from their extended warranty data, possibly helping them to decide what to sell and how to price it based on how much it costs to repair.